April, 2015 | Chain D.L.K. Cyclic Law – ARCANA “Cantar De Procella” Vinyl in stock! Hello, we are excited to start preorders and announce two very exciting releases for june. The first one is U/V Light and the other is our 5 year anniversary 2LP! 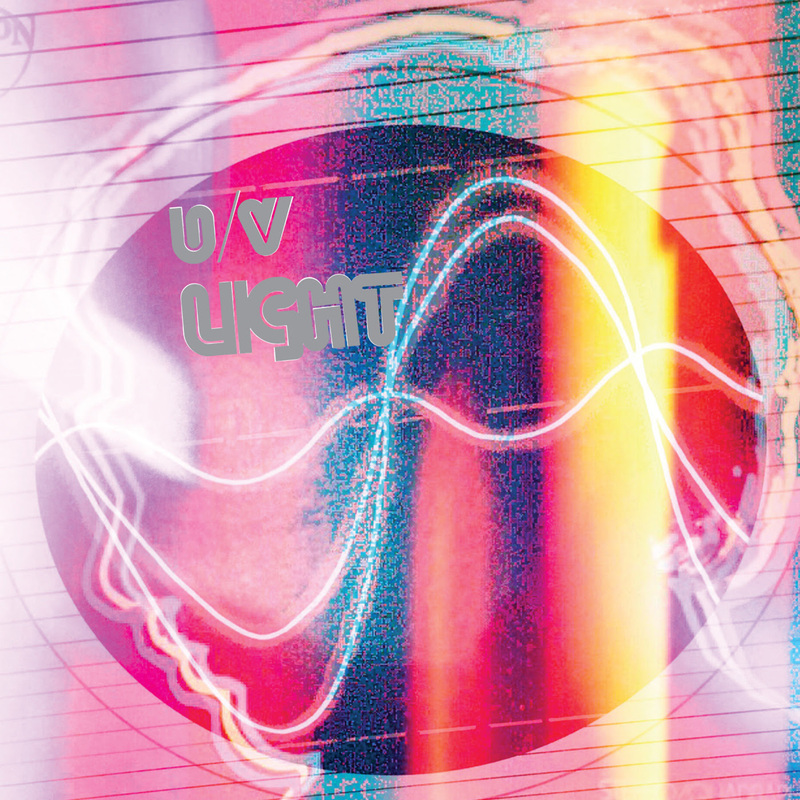 Medical Records is very pleased to present the debut album by U/V Light. U/V Light sounds more than a bit like Cloudland Canyon at times. This is because it is the first “solo,” effort from Kip Uhlhorn of CC. Kip played, sang on, engineered, mixed, and collaborated with Gabby Weiss on this new recording. Eschewing standard German comparisons that CC usually receives, U/V LIGHT often sounds like either early electro or dance-pop but without the typical blueprint so commonly replicated these days. Kip’s rockist tendencies make this recording more interesting and fresher than those usual reference points. However, after Gabby’s vocals kick in, some of the band’s influences can be discerned such as Desire, or Uffie fuzed with Sylvester, Bobby O, Jonzun Crew, Space “Magic Fly”, etc. One could also draw some comparisons to Primal Scream’s “Screamadelica”, Seefeel, or Craig Leon at times. Despite hints at motorik tempos and/or beats., U/V Light is more of a pop affair. It is also not a simple continuation of Cloudland Canyon. Dance-pop seems the clearest reference point here, but Cenotaph does not have a standard dance beat feel. Recorded quickly, the record has a consistent sonic approach that makes individual tracks sound like a suite of songs. God no, it is not a rock opera, but it has a singular sonic identity which makes it differ from previous Cloudland outings. Enough comparisons already, U/V Light’s Cenotaph mostly equates to a Kip Uhlhorn solo recording. Influences are felt, but they don’t dominate here. Sometimes a hybrid like this one is not easily categorized. If you like Cloudland Canyon then you will most likely enjoy Cenotaph. Or even if you do not prefer them (or have never even heard of them for that matter), this recording stands on its own. Six propulsive tracks ebb and flow with a continuous feel that takes the listener down a hypnotic wormhole. This album was recorded using impressive arsenal of vintage analog synths as well as modern modular equipment. For fans of aforementioned influences as well as others (Grosskopf, Schultze, Slowdive) and especially those who enjoyed the most recent of the Cloudland Canyon 12” series. Mastered by Martin Bowes at the Cage Studios, UK. Presented on high-quality 180gram heavyweight colored vinyl. Medical Records is celebrating it’s 5 year anniversary as well as 50th release! Medical Records was founded sometime in 2007/2008 but released it’s first double header of reissues in May 2010 with the (at the time) little known Deutsche Wertarbeit (MR-001) and the first album by famed Italo/synthpop guru Alexander Robotnick (MR-002). Since the beginning, Medical has pledged to bring back long out of print and lost new wave, synth, and disco LPs from the 70s and 80s. With an emphasis on high quality heavy vinyl (with a dizzying array of colored wax), these essential records have been made available again at a reasonable price for collectors and new fans to cherish once again. Over time, we expanded our palette to include new artists with a similar aesthetic to our vision as well as crucial 90s reissues in the shoegaze and other unclassifiable genres. With collaborations with Crispy Nuggets, Light In The Attic, and Portland’s 2010 Records, the back catalog of releases have spanned much ground. For this 50th release (MR-050), we have chosen to release our first retrospective with a twist. This double LP features a hand-picked selection of tracks intended to highlight our past reissues on the first 3 sides. Featuring such standouts as Lou Champagne System, Tony Carey, Gay Cat Park, and many more, it is a very nice representative collection. The 4th side of the double LP is a unique collection of our new (contemporary) artists performing specially selected cover versions of tracks featured on our past reissues. 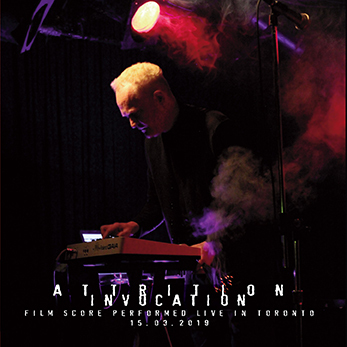 Examples include the sultry “We R” performed by Roladex (originally by Chrisma on “Hibernation”) and “Click” performed by Kline Coma Xero (originally by Disco Volante). This collection will surely be a treat for the fans who have been following our evolution over time and will especially prove to be a staple in anyone’s collection who would like some of our reissued hits on one concise compilation. All reissue tracks and new tracks have received additional remastering and mastering (the new tracks) by Martin Bowes at the Cage Studios, UK. This collection will appeal to aforementioned lovers/collectors of rare new wave, private press synth, cosmic/italo disco, vinyl djs, and many more! 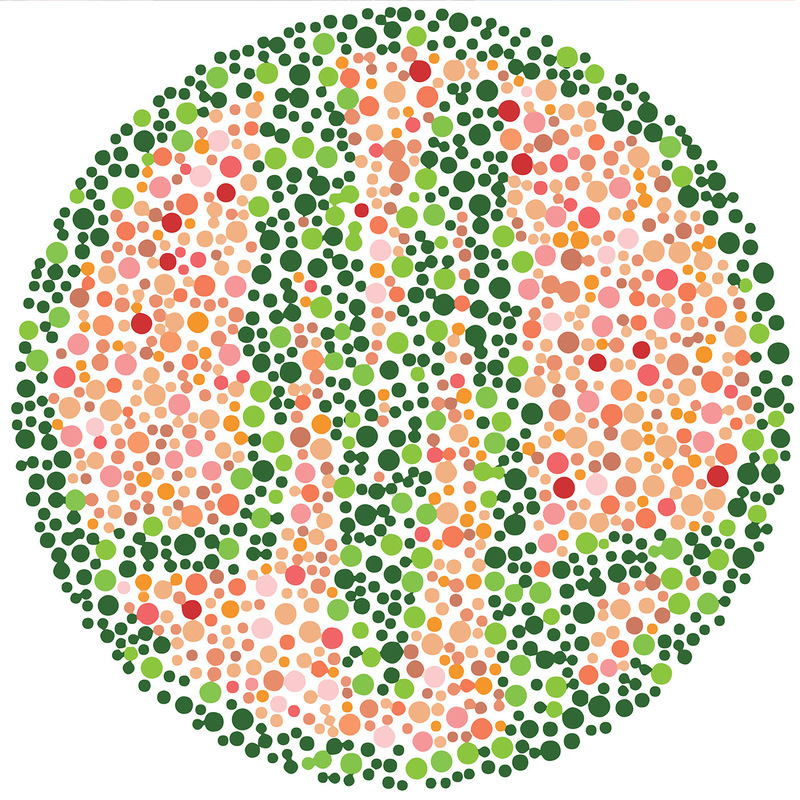 This double LP is housed in a specially designed gatefold heavy sleeve featuring the Medical logo in a “color blindness test” on the front with the gatefold filled with thumbnails of all 50 past releases. Presented on high-quality 160gram colored vinyl. MR-049 ECT volume 3 update – We still have available copies while they last! Multiple titles on Anna Logue, Mannequin, Private, Domestica, Eirkti, and more! We are now carrying select titles on Vinyl On Demand! I am now signed with Blowpipe Records in Holland. We are working on songs, not on an album. One by one. Each coming with a music video. This one is called “Shrek”. I guess it is some kind of Weird Pop. Very melancholic though. And straight out of a hurting heart. The instrumental version is made purely with 80s Yamaha synthesizers. My producer Logosamphia logosamphia.bandcamp.com didn’t use any computers until the mastering. He played it all in with manually by hand. The song is actually about the lost loves in my life. All coming back together in the form of one ogre: Shrek. And it is also about lost egos: Masturbating in front of the mirror. The spectral second and final instalment of Funerary Call’s “The Mirror Reversed” tumbles deeper through the Setian tunnels, leading the way to the vast and mysterious Other Side. Continuing from where his initial movement left us, Harlow MacFarlane once again summons the tones and auras of his Qliphothic interpretation. It is a serpentine force extending from a churning black vortex lined with crystalline fetters. A dark and textured voyage through the shards of the shattered black surface that once reflected the illusory. The 46-minute meditation ebbs and flows through ambient pulsations of fear, awakening, and the unknowable. Each segmented chapter is a dynamic representation of the individual demonic forces at work, bringing us closer to the roiling waters of formlessness. The forbidden freedom of the Other Side awaits. CD out now, LP available mid May. Parralox present their brand new single ‘Aeronaut’, marking a new era for this exciting Melbourne based electronic pop act. The band, fronted by mega-talented rising producer John von Ahlen, have had an impressive career so far. Since 2008, they have released six accomplished albums, gaining support and acclaim from an incredibly broad range of blogs and cultural commentators – spanning MTV, Popjustice, Arjan Writes and Perez Hilton. ‘Aeronaut’ is a dramatic, pulsating slice of electronica that helps indicate how they caught the attention of Erasure, who recently asked the band to open for them on their ‘Violet Flame’ world tour. Parralox subsequently remixed the previous two Erasure’s singles, released through Mute Records. The music video for ‘Aeronaut’ is a follow-up visual collaboration between Creative Director, John lbrahim and John von Ahlen after working together on the critically-acclaimed visual ‘Eye In The Sky’, a cover of the famous song by The Alan Parsons Project. After endless cups of coffee and many late nights in John Ibrahim’s atelier in Paris, a vision for the clip started to slowly emerge. Almost post-apocalyptic in vision, the ‘Aeronaut’ video captures the essence of reflection, observation and introspection set against the breathtakingly beautiful backdrop of Paris. The music video for ‘Aeronaut’ will be accompanied by a b-side music video for “Somebody” which was filmed in London as a companion piece to the main release. ‘Aeronaut’ is taken from the band’s forthcoming seventh studio album ‘Subculture’, due for release later this year. Following his performance at Sonar Reykjavik 2015, Ozy, one of the pillar stones of the appreciated Icelandic label Thule Records – maybe the closest to Berlin’s abstract-dub-techno stylistic “territories”, which managed to develop a really original variation of that tune -, came back with “Distant Present”, an awesome release by Tokyo-based label Nothings66. It includes new material by Ozy, as well as remixes by Laurel Halo (Hyperdub), Miles Whittaker (one part of the Manchester-based duo Demdike Stare and a longtime collaborator of Andy Stott) and young Japanese producer Yusaku Arai. Check out its enchanting declension of the deepest side of techno-dub and what Ozy has to say about it below! Chain D.L.K. : Hi Ornolfur! Or I’d better say: welcome back Ozy! It was a big surprise to have an Ozy release after 10 or maybe more years. First of all, how are you? Ozy: Yes, hehe. I’m very good, thank you. Chain D.L.K. 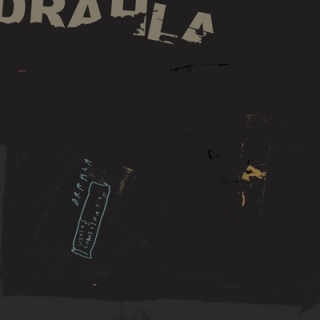 : You belonged to a super-group of Icelandic musicians and sound artists who got into many headphones through Thule Records – I hold many excellent records by Thule, including a copy of your “Grey Area (51)”, even if the case got broken, maybe because of a long journey – suddenly disappeared. This sounded quite strange to me and also to many other people who knew the scene. What happened to Thule? Ozy: Ah, a “super-group” you say. Yes, those were the good times. We were a group of friends, all very excited to release our music on vinyl. I guess, in the beginning, the focus of the label was quite strong (that is, on dub techno and minimal techno). The label was getting international recognition for its new take on the classic dub-techno sound and getting good distribution deals (this was before music was sold digitally, by the way). But, I guess it must be expensive to run a record label on an island in the middle of nowhere (and it’s not like dub techno was ever a big sales commodity). So, in order to make ends meet, new sub-labels were established to accommodate a broader array of musical styles, including indie pop/electronica and country music! Although a lot of the music that came out was quality stuff (spanning around 80 releases over 5 years), in the end, it just didn’t work out and the company went broke. I should mention here that there’s a new Thule offshoot label in New York, called Strobelight Network, which is definitely worth checking out, as it will be releasing new stuff, left behind from the original Thule records artists. Chain D.L.K. : And what happened to you? What did you do these years? Ozy: I’ve been studying psychology at the university over here since 2004 and graduated a few years ago, as a clinical psychologist. Now, I’ve actually started studying again and will soon finish a doctoral degree (PhD). So I guess that’s my excuse. Chain D.L.K. : What’s your personal take on the relationship between creativity and the setup you work with? Ozy: I’ve started incorporating analog equipment again into my setup, after working almost exclusively within a digital environment for years. I think this was a good move, creativity-wise, because now I’m working much more “hands-on” with machines, rather than staring at a computer screen the whole time and clicking on a mouse. Also, some hardware machines tend to produces unexpected (and sometimes unwanted) sounds, which can be quite nice and interesting, and sometimes I think these kinds of imperfections can be a spark for creativity. Chain D.L.K. :Let’s focus on your new album. Why did you call it “Distant Present”? Distant from which point of reference, you say? Ozy: Hmmm, haha. I don’t know actually. Well, basically, I chose this title because it refers to a “time” of some sort, whether past, present or future. I found this fitting, as the CD contains older tracks, plus remixes of older material and new productions. But, when I think about it, I feel that the overall sound impression of the CD is nostalgic rather than futuristic, so maybe the reference point should be the past. Chain D.L.K. : Where’s the place portrayed on the cover? Ozy: It’s somewhere on Mars. Chain D.L.K. : Has sound equipment changed since you first go into the business? Ozy: Well, in a way, my current setup is actually quite close to my original setup from when I started out making music. Like I said, I’ve been incorporating hardware equipment again into my studio, instead of relying only on digital software and plugins. For example, I’ve been using guitar effects and an analog tape delay (Roland Space Echo) to give a warm effect (and sometimes distortion) to otherwise digital sounding material. You see, a lot of sounds coming out of sound design software tend to sound too harsh, so it’s nice to warm it up somehow. Chain D.L.K. : Your sound has often been depicted as cold or icy. Do you like this kind of description or not? Ozy: Yes, this description seems to have stuck to me, as well as some of my fellow Icelandic artists. It’s probably got something to do with the fact that we’re from Iceland, right? But, sure, sometimes I do make “icy” sounding music, and then it makes sense to describe the music as cold. But otherwise, I think it’s a bit of a warn-out cliché. Chain D.L.K. : Verksmidja, the title of one of my favourite tracks on “Distant Present”, should be the Icelandic word for “factory”? Why did you choose this title? Ozy: It’s great that you ask this! The title refers to factory farming – where abusive practices are employed to maximize profits at the expense of animal welfare, etc. The track contains a sound recording of an Icelandic TV interview broadcasted a couple of years ago that helped raise the public’s awareness of how farm animals are treated by the food industry in Iceland. I think it was a bit of an eye-opener over here, because a lot of people had these outdated and naive ideas about Iceland still being full of small, old-fashioned farms, but were surprised to know how many factories had appeared in Iceland over the years and the level of mistreatment in some cases. So, I snug this audio recording underneath, hoping that someone would ask me about this. And you did!! I regret not having more of the recoding audible, but if you understand Icelandic, you can hear at the end of the track a voice that says something like “sure, these are factories, but animals aren’t machines”. Chain D.L.K. : What are the features that distinguish a good electronic track, in your opinion? Ozy: I usually prefer tracks that are built around interesting sound design, especially when it comes to the drum elements. It’s also great when a track has some hypnotic or deep feel to it, so it pulls you in somehow (but without being trance music though). These are some of the reasons I got into the early minimal techno stuff (late 90’s “experimental” techno, on labels like Perlon, Basic Channel, early Kompakt stuff etc.) and the prototypical clicks and cuts stuff (Mille Plateaux/Force Inc. etc. ), which have an enormous influence on the sounds of today. Chain D.L.K. : Have you performed any tidbits on “Distant Present” in live sets yet? How’s the listener’s feedback? Ozy: Yes, I have. I performed some bits of “Distant Present” in a recent live set (February 2015) at the Sónar festival in Reykjavik, and the crowd seemed to like it. But this was a special one off event and I don’t know when I will do a live set again. Chain D.L.K. :Any piece of advise for travellers who would like to explore both Icelandic landscapes and Nordic underground music? Ozy: If you’re travelling to Iceland, you should definitely visit the north, for instance the town of Akureyri and its surrounding areas. They’re a very beautiful and peaceful part of the country. The Snaefellsnes peninsula is also worth visiting, in my opinion. Regarding music exploration, there are two record stores in Reykjavik that people should visit: 12 tónar and Lucky Records. Their staff is usually very knowledgeable about what’s going on in Icelandic music, whether “underground” or mainstream music. Chain D.L.K. : Could you present the remixes that got included in “Distant Present” to us? Any talk with the people that remixed, before the final output was finished? Ozy: I’ve been very interested in the UK sound for some time now and have been listening to labels such as PAN and Modern Love, to name a few. I’ve been really into Miles’ (Miles Whittaker) sound, as well as his work alongside Andy Stott, as Andrea and Millie. So we asked him to choose a track from my Tokei album (from 2002) and do a remix in the lush and spacious manner that he knows so well. Then, we knew that Laurel Halo has a good taste in music and a talent for remixing. While the track she chose to remix (“Black to the future”, from Tokei) is quite melancholic and chilled, she managed to do a modern and interesting rhythmic version of it, while remaining faithful to the original feel of the track. Finally, College drop is a young and talented Japanese artist affiliated with the nothings66 label, and we wanted to hear what he could come up with. Interestingly, like Laurel, he chose to remix “Black to the future”, but did a more uplifting version of the track. Ozy: Sure, lots of work in progress. But unfortunately most of it is not music. However, I’m happy to say that I just finished a DJ mix that will be published soon, by an online music media producer. Then, I’m hoping to take some time to work on a new 12inch or something.